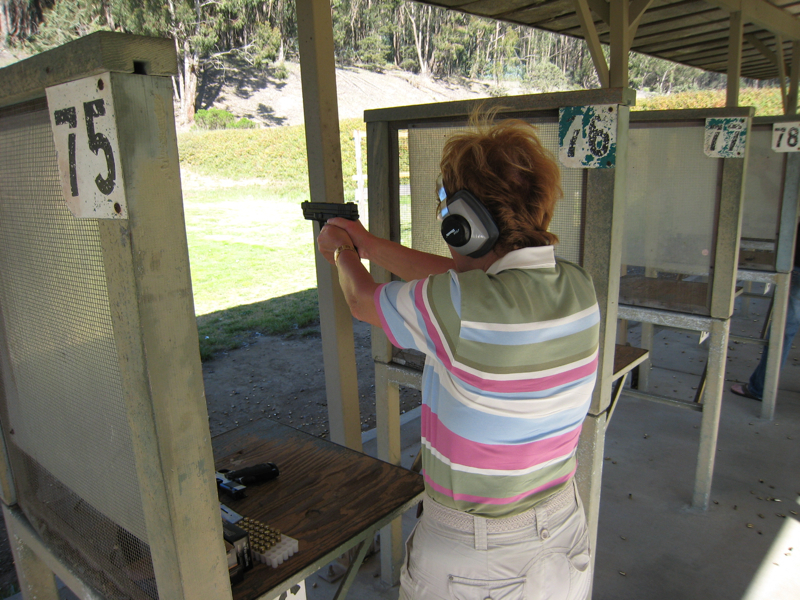 When my mom visited us recently, she wanted to go to the shooting range for a day. 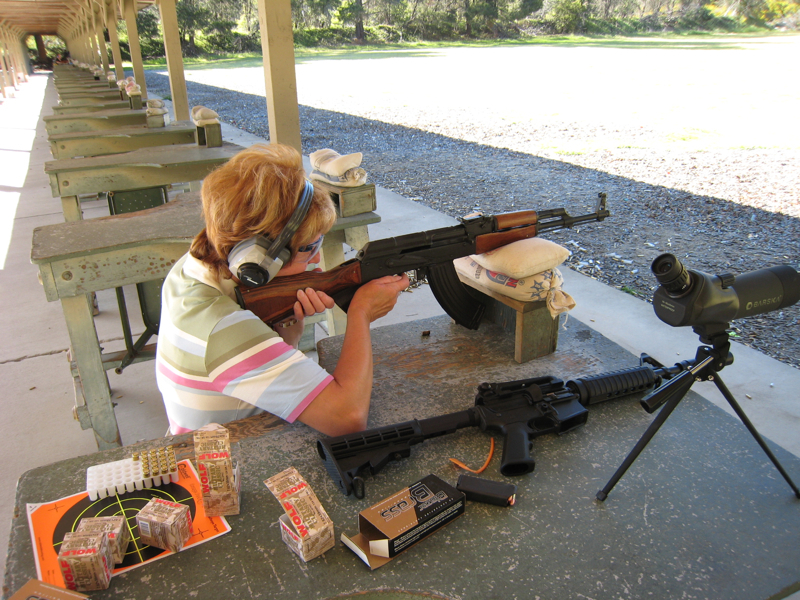 She shot a Springfield XD-9, a Springfield 1911, a AR 9mm carbine, and a AK-47 clone (all California legal, of course). How Do Germans Eat Cheeseburgers? Why, with knife and fork, of course!